Description: M M F Joshi Hospital has a medical service experience of over 64 years and has a good infrastructure and support with 100 beds, OPD, casualty section, out-patient and in-patient department, coronary care unit, radiology, pathology laboratory, consultation rooms and ultra-technology machines. They have a separate unit for dermatology and have deluxe wards available for comfortable treatment. 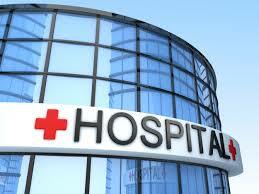 It is a multi specialty hospital with expertise in cancer surgery, gastroenterology, diabetes and hand surgery. They have first ultraviolet therapy chamber of the state and first Erbium YAG laser. They are occupied to use cryotherapy, PUVA therapy, botox & fillers, vitiligo treatment, and treatment for hair disorders to complete the huge list of medical services they offer. For different medical needs, they have provided various health packages, like economy health package, executive health package, comprehensive health package, and senior citizen health package. They have a strong infrastructural support with coronary care unit added to the consulting rooms, intensive care unit and 2D Echo department. They are experts in general surgeries, general medicine, dermatotherapy, cosmetology and foot scan. They provide their services for 6 days a week and for the comfort of others they have provided the detailed schedule-chart of every doctor available on the respective days. Address: 778, Shivajinagar, Opp. Kamala Nehru Park, Pune-411004, Maharastra,India.